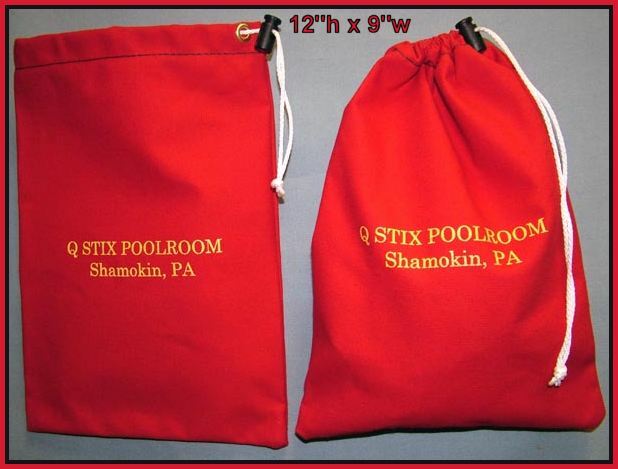 These style of drawstring pouches/bags have a wide variety of uses. They are great for storing items and parts of all sorts. They are not meant to hold very small items securely because of the design closure of the bag. They are a super promotional item just as an empty bag or you can put whatever you may want inside. We can print whatever you would like on the outside of the bag in one color ink. In quantities of 100 or more there is NO CHARGE for printing. As in all our products we can produce any size bag that you may need for your intended purpose. 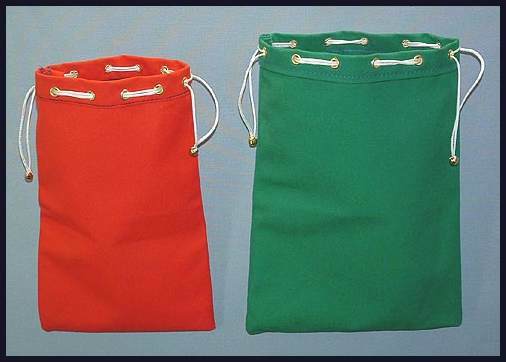 The two bags shown here measure approximately 7" wide x 11" high ( red bag ) and 8 1/2" wide x 12" high ( green bag ). We have three stock sizes which are the two shown here plus a smaller bag which measures 7" wide x 9" high. These bags are made from army duck and come in a variety of colors such as: Black, Brown, Blue, Camouflage, Gold, Gray, Jade, Kelly Green, Lavender, Orange, Red, Tan, & Yellow. We can acquire almost any color you desire if needed. As with all our products we can tailor fit your needs. If you need a special size, color, design - JUST ASK!